Cyber Surety personnel are the IT specialists of the Air Force. They do all the things a civilian IT specialist does: monitor, evaluate, and maintain systems, policy, and procedures to protect clients, networks, data/voice systems, and databases from unauthorized activity. It includes identifying potential cybersecurity threats and managing security violations. 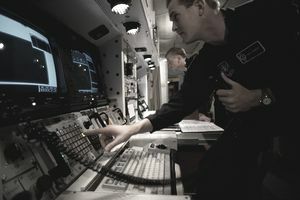 There are specific protocols these airmen are responsible for; they manage the overall Information Assurance (IA) program to include communications security (COMSEC), emissions security (EMSEC), and computer security (COMPUSEC) programs. This job has a long list of highly technical duties. These specialists conduct IA risk and vulnerability assessments, ensure enterprise IA policies fully support all legal and regulatory requirements, and ensure IA policies are applied in new and existing IT. A crucial part of this job involves identifying IA weaknesses and making tweaks and recommendations for improvements. This means monitoring policy and compliance and recommending IT security controls. Cyber surety specialists also audit and enforce compliance initiatives, and look into security incidents, conducting IT forensic investigations. And they keep up to date on the latest cybersecurity best practices. After basic training and Airmen's Week, airmen in this job spend 50 days in technical school at Keesler Air Force Base in Mississippi. After tech school, these airmen report to their permanent duty assignment, where they are entered into 5-level (technician) upgrade training. Once they've achieved the rank of staff sergeant, airmen in this job are entered into 7-level, or craftsman training. It will include supervisory duties, including shift leader. When promoted to the rank of senior master sergeant, airmen in this role convert to the Cyber Operations Superintendent and oversee airmen in lower ranks. Air Force personnel in this job can expect to be assigned to an Air Force Base. To be eligible for this job, you need a composite score of 64 in the general Air Force Aptitude Qualification Area of the Armed Services Vocational Aptitude Battery (ASVAB) tests. Since Air Force surety specialists handle a wide variety of sensitive data and information, applicants must obtain top-secret security clearance from the Department of Defense. It involves a background check of your finances and character. A history of drug or alcohol abuse may disqualify you from this job. You also must be a U.S. citizen for this job and have either a high school diploma or its equivalent. High school coursework in advanced math and computer science are not required but are beneficial for this job. If you have experience in systems administration, software development, or quality assurance roles, you'll be well-prepared for this Air Force role. Testing and quality assurance is desired.